Balks, Bunts & walks are my topic although I’m not talking about balks. I just thought it sounded good with bunts and walks. Bunts and walks are the topics today. I had a conversation with a 12U baseball coach the other day when he brought it to my attention how much he was using the sacrifice bunt so often during their ballgames. NOTE: Bunting is a giant ‘red flag’ for me. Okay you hard- core, traditionalist coaches, it is okay to teach a kid how to bunt. 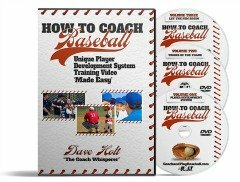 My argument back is ‘you are a win-at-all-cost’ type coach if you are constantly having players bunt in practice and games. Bunting likely will help you win games---but at what cost? The cost of taking at-bats away from kids and not helping them develop their hitting. Remember, our objective is to develop hitters that can survive in the game in order to reach high school baseball. If a player cannot ‘hit’ at a fairly high level chances are they will struggle for playing time in the high school age levels or may be cut from the team (if they haven’t stopped playing already). 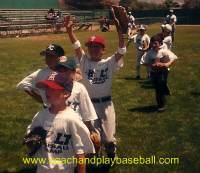 Relying on bunting during games to win (other than the last inning when one run might be all that is needed) is not conducive to developing ball players. Being able to bunt is a low priority to me below the high school level. I might introduce the skill but will not waste much time or at-bats bunting. I see baseball coaches that wallow all over themselves because their kids can bunt so well during the games. Coaches think they are really ‘coaching’ when they call baseball signs for bunts during games. Bunts & Walks Win Games But at What Cost? 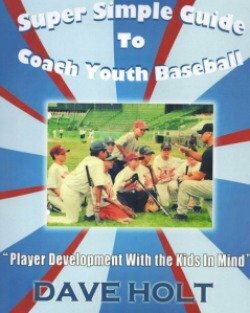 Sure, bunting stresses and tests the defensive team’s ability to execute and ‘catch & throw’ consistently (which the large majority of youth level teams cannot do). Yes a team could win a bunch of games by bunting all the time on a regular basis. Winning in this fashion is not in the best interests of a player’s development. Hitters need every at-bat to get as many quality swings as possible—otherwise it might be game-over for the non-hitters. So, pack away the sacrifice bunting and all your ‘strategy’ and let the kids swing it. So what if you lose a few along the way. The object is to develop hitters that can ‘square-up’ on the barrel consistently. I hear coaches say, “But Coach Dave, I have players that cannot hit and I don’t want them to go home all dejected. At least if they can lay down a bunt they will feel a little bit good about themselves.” I say you are taking the easy way out. You are settling. Settling to speed up the process of sending a kid right out of baseball without ever hitting a ball squarely on the ‘sweet spot’. By the way, just substitute ‘walk’ for ‘bunt’ in the above article and you will see how I feel about my players getting walks below high school (I don’t like my players to walk or bunt). Re-read the article as if it says ‘walk’ (instead of bunt). Sure I hear, “But Coach Dave, my team’s parents want to win and if I teach hitters to be aggressive the parents don’t understand why we are free swingers and trying to get quality swings.